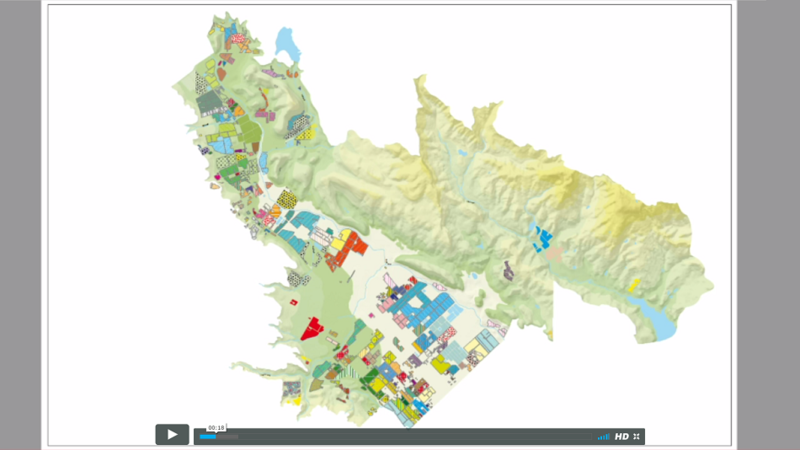 The Vineyards of St. Helena & Conn Valley is the seventh map in our series of Napa Valley vineyard maps. 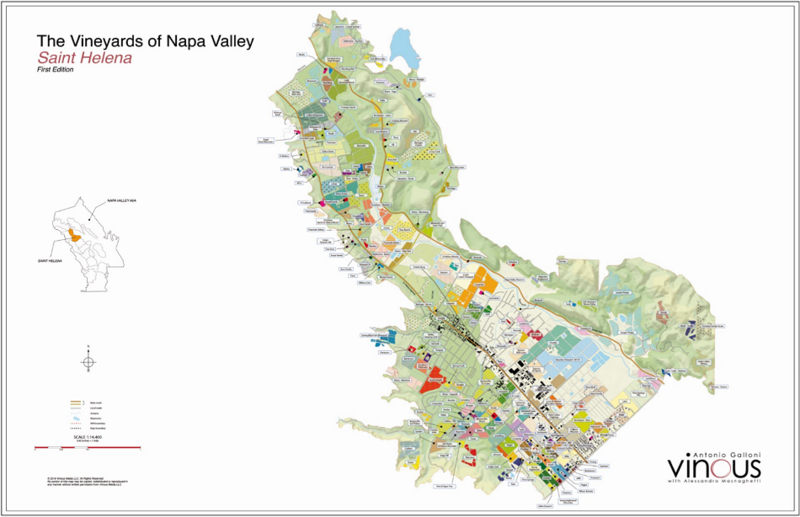 Vinous Maps are the result of many years of visiting Napa Valley and observing the land with the ultimate goal of gaining a deeper understanding of how the essence of site is ultimately reflected in the glass. 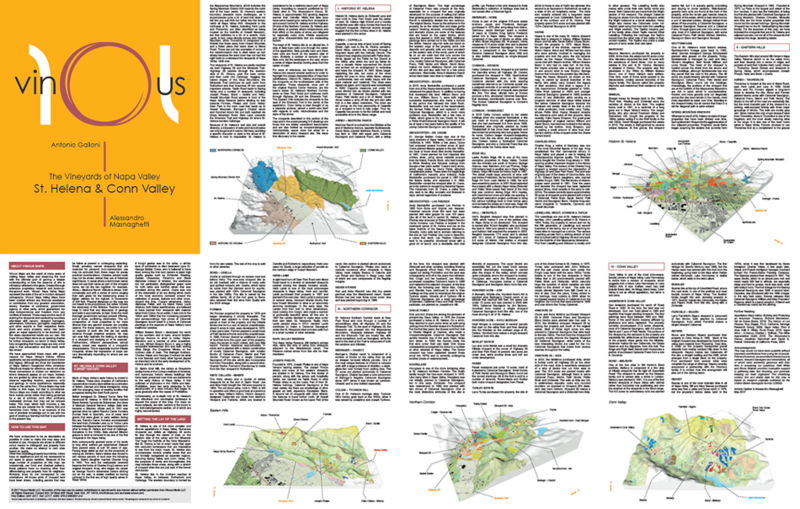 Created through extensive proprietary research and boots-on-the-ground work, Vinous’ Napa Valley Maps represent the state of the art in modern vineyard cartography. We started working on this map at the end of 2016. 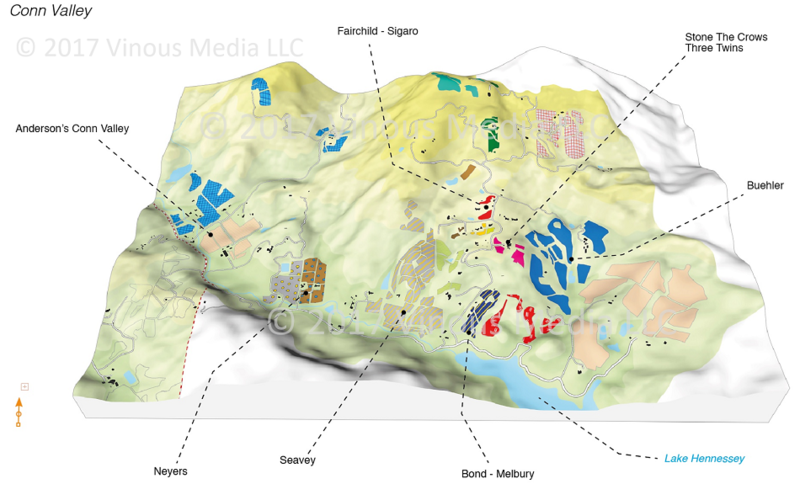 Our first draft, shown below, looks very much like a map of the St. Helena AVA. But as we continued to visit vineyards and do research, we decided to expand the map to include the Eastern Hills of St. Helena and Conn Valley, both of which are outside the formal AVA. 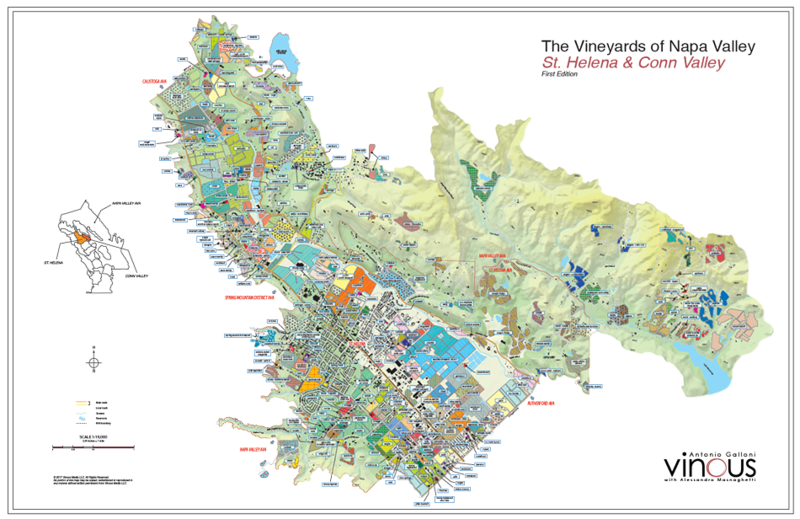 St. Helena is one of the more complex and diverse appellations in Napa Valley. Numerous vineyards are visible as Highway 29 works its way through the center of town on the western side of the valley and the Silverado Trail hugs the foothills of the Vaca Mountains. But St. Helena is full of small roads that open into secluded landscapes that are impossible to see from the major roads. For ease of reference, we have divided St. Helena into several smaller sections in order to highlight the unique characteristics of important subdivisions. Historic St. Helena encompasses the vineyards on the southwestern side of the appellation. These vineyards, once part of the original Rancho Carne Humana, are the town’s oldest. St. Helena’s Northern Corridor starts at Deer Park Road and continues north through Highway 29 and the Silverado Trail. The Eastern Hills includes the vineyards to the east of the Silverado Trail in the center of the appellation. Conn Valley is best thought of as a separate enclave, almost a world of unto itself with regards to soils, microclimates and the style of the wines. Four accompanying 3-D maps give wine lovers the ability to see the vineyards, parcel by parcel, in stunning 3-D detail like never before. The vineyards described in this section of the map are those that are widely considered benchmarks and are also bottled as vineyard designates. Our next map focuses on the vineyards of Mt. Veeder and Moon Mountain. For the first time ever, wine lovers will be able to understand the relationship of vineyards sites in these two appellations, the former in Napa Valley and the latter in Sonoma, located on opposite sites of the same stretch of land in the Mayacamas Mountains.